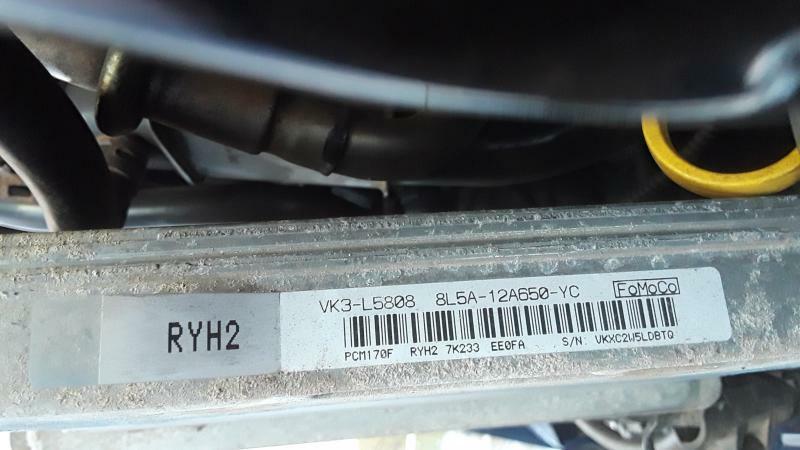 Now, I'm assuming that my pcm is the Ford original one, but I wonder if the number cast into the housing is supposed to match my trucks VIN, because it does not. The one I'm buying says it needs the VIN, and I'll have to get new keys made, but it comes preprogrammed and flashed....should I trust it? 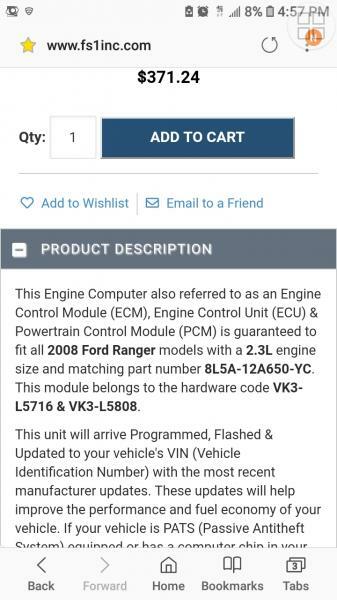 Would I be able to install it myself or should I have Ford do it? 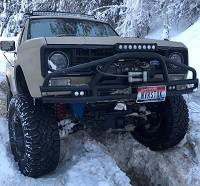 I've already figured out how to do it on my own and it's a 5 minute job to do, and the only reason I was originally going to take it to Ford was for them to program it and since they dont need to my thinking is for me to install it myself then have the truck towed there or push start it and have them do the keys. Any suggestions, input, or ideas is appreciated. 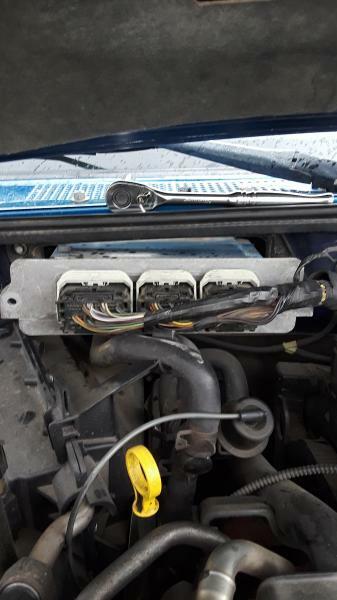 Yes it does, the only thing I should need after the pcm is installed is 2 new keys programmed, at least that's how the dealership explained it to me. Mobile locksmith? Might be cheaper than putting it on the hook. Would disconnecting the battery be the only thing I should have to do when replacing the computer? Or are there other steps...? Does nobody know how to do this orr....?? I would disconnect the battery and wait 10 minutes or so. Don't over think it pal they are way tougher than a motherboard! It will be fine. Page processed in 0.1739 seconds (16% database + 84% PHP). 59 queries executed.